However, focusing on the private-sector tells a much different story. In fact,private-secto job openings actually jumped by 6% in March. Since December, private sector job openings have been rising at a 24% annual rate. 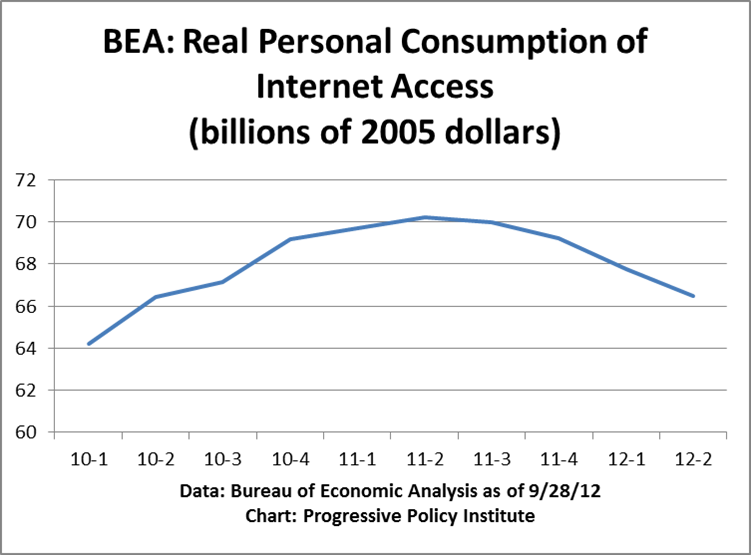 It’s worth taking a look at the following chart, created from BLS data. 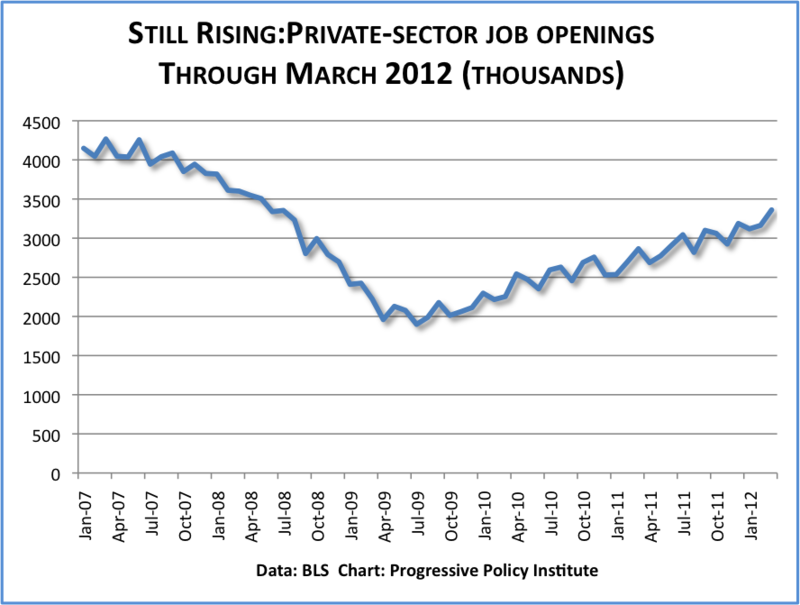 This chart shows a steady improvement in the number of private-sector job openings, which are now back to the 2008 level. There’s no sign of a slowdown. These data run through March 2012. But it’s worth noting that The Conference Board data on help-wanted ads show a continuing rise through April. I’ll be speaking on the App Economy in New Jersey on Wednesday with Frank R. Lautenberg and FCC Chairman Julius Genachowski.